Written by Stirling C. and illustrated by Donna Washington, this beautifully illustrated backwards-and-forwards book tells the charming story of how Milly the Mouse and Morton the Mole each live their lives in separate homes within the same magnificent, moss-covered hill. Children can read Milly’s story going forward, and Morton’s story going backward, until the two new friends meet in the middle. The companion colouring book is available here! An adorable story of neighbours and friendship. Kids will love it. 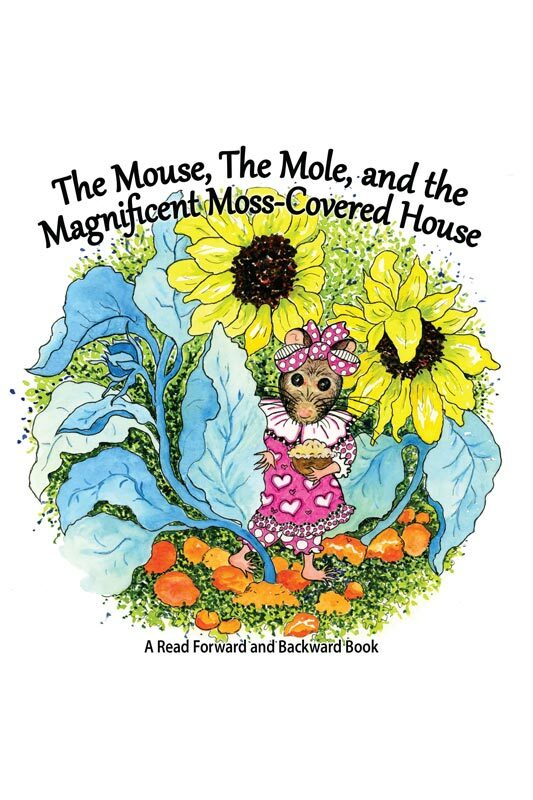 In The Mouse, the Mole, and the Magnificent Moss-Covered House written by Stirling C. and illustrated by Donna Washington, Milly Mouse moves into a brand-new home. She works tirelessly making the perfect space for herself. Every day, she awakens with a purpose; her tight schedule of baking and cleaning keeps her busy, but she always allows herself time for painting. Milly soon realizes she’s missing one thing, a friend. As she begins to explore a tunnel she finds, she eventually discovers exactly what she needs. Morton Mole has lived in the moss-covered hill for years. His home is overflowing with books and maps. Morton begins each day slowly, taking his time to figure out the one thing he wishes to accomplish that day. Morton’s favorite part of the day is when he writes, but just like Milly, Morton is lonely. While exploring his tunnels, he too will discover the one thing that will make his life perfect. With many picture books, the drawings are secondary to the story, not so with this one. Washington’s illustrations are exceptional. Through the drawings, the reader sees details that aren’t part of the text. From the subtle to-do lists on Milly’s wall to Morton’s map, these drawings do more than just tell the story; they enhance it, taking it beyond the text, which is important since young children learn so much about life visually. The illustrations make Milly and Morton both modern and timeless. 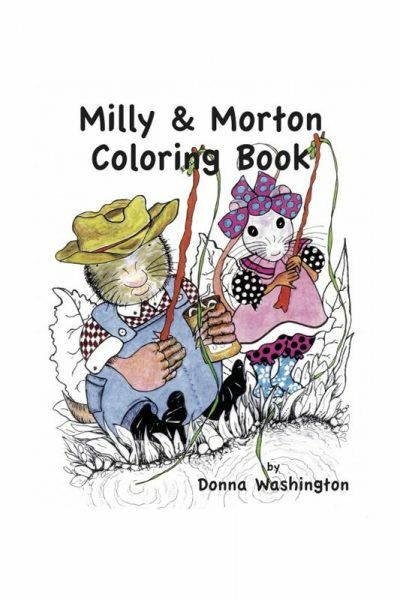 A coloring book exploring the further adventures of Milly and Morton and encouraging children to write their own tales and draw their own illustrations is also available. This backward and forward book emphasizes the differences in Milly’s and Morton’s personalities. An ingenious page with a hole shows the exact moment when the two characters meet and instructs the reader how to continue. Morton’s story mirrors Milly’s but highlights the differences between them. Neither character is shown as more important than the other. Both of their traits are essential and valuable to society. The world needs busy bees, like Milly, and deep thinkers, like Morton. This charming book shows children how two completely opposite characters can become the best of friends. It celebrates our differences and shows how valuable those differences can be. A beautifully illustrated story about unlikely friendship and good neighbors for the very young and old alike. A joy to experience! The engaging pictures in this story will delight readers young and old! This beautiful story shows young hearts that what we’re all looking for is a friend. This captivating story shows children that it’s wonderful that friends don’t have to have the same personality and interests. You will enjoy reading this story with your child or grandchild.